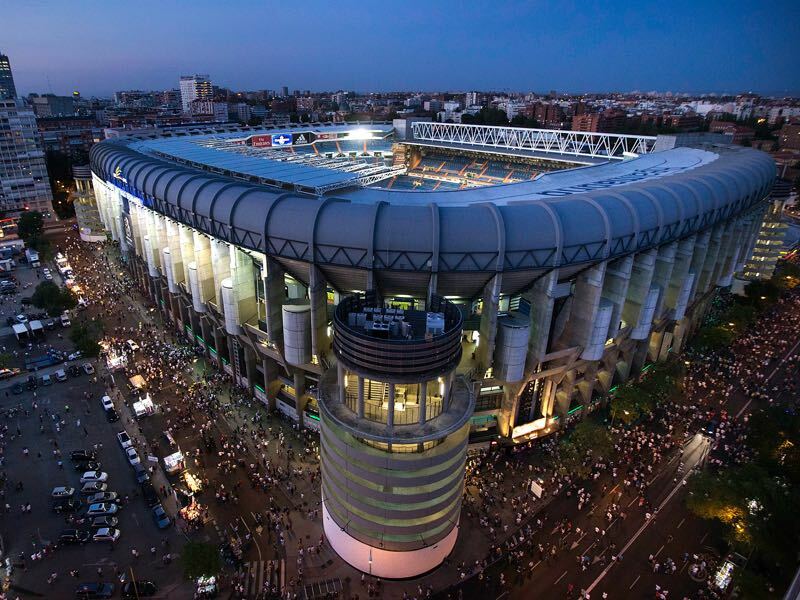 Real Madrid vs Bayern München – Tuesday 19:45 BT / 20:45 CET Bernabéu Stadium – Madrid, Spain. Real Madrid will go into the second leg with a 2-1 advantage. Bayern dominated Madrid in the first 45 minutes at the Allianz Arena, and should have gone up by two goals by halftime. Arturo Vidal, however, skied the penalty, which should not have been awarded in the first place, and Real Madrid not only managed to equalize the score, but actually bossed Bayern in the second interval. Perhaps Arturo Vidal’s performance summed up Bayern’s performance the best. The Chilean midfielder was on fire the first 45 minutes. He got Bayern the lead with a thundering header in the first half and orchestrated several attacks by the Bavarians. But the Chilean often walks a fine line between powerful aggressive football and over motivation. He must have had his first half display in mind when he stepped up to take the penalty, and over motivated—with the result that he put too much power into the shot. The second half of Bayern’s overall play appeared headless. Arjen Robben, Arturo Vidal, and Frank Ribéry all were guilty of trying to force plays by running head first into Real Madrid’s well organized defence. Over motivation was once again also the key phrase when Bayern’s Javi Martínez was sent off after receiving two yellow cards in just two minutes. Without Martínez, Bayern were lucky to escape with a 2-1 defeat, which essentially gives them a bit of hope when they travel to Madrid to face Real on Tuesday. There are not many teams, who could overcome a 2-1 deficit away at the Bernabéu, but Bayern have the talent to, perhaps, shock Real and advance to the semi-final. The Spaniards are, however, now the favourites to go through—especially after Cristiano Ronaldo regained his scoring touch. The Portuguese forward scored both goals against Bayern and, perhaps should have had a few more, and it was only because of Manuel Neuer that Bayern escaped with just two goals conceded. With Ronaldo returning to form, Neuer will have to be at his best once again on Tuesday—Bayern will have to try to score two unanswered goals in order to defeat Real in regular time. German teams do, however, have a history of surprising Real in Madrid. Schalke almost managed to overcome a 2-0 home deficit in 2015. Die Knappen won 4-3 in Madrid, and Real barely escaped as Schalke had a shot hit the crossbar with moments to go. The result shows that Real are vulnerable, even at home and, in Bayern’s case, a 4-3 victory would see the Bavarians go through. Robert Lewandowski missed the first leg with a shoulder injury sustained in der Klassiker last week. The Polish international left a gaping hole up front for the Bavarians, and Thomas Müller was unable to fill the void. Instead of looking for the outlet pass, both Ribéry and Robben could be found trying to go for deep runs, which were easily handled by Real Madrid. In fact, the game highlighted that Bayern do not have a backup plan for when Lewandowski is injured. The Polish striker combines playmaking abilities with a killer instinct in front of the net and, without him, the Bavarians, when they advance, look a bit like headless chicken. Toni Kroos was, in many ways, the unsung hero of the first leg. The German midfielder was on fire, and it was evident that the former Bayern München midfielder had something to prove upon his return to the Allianz Arena. 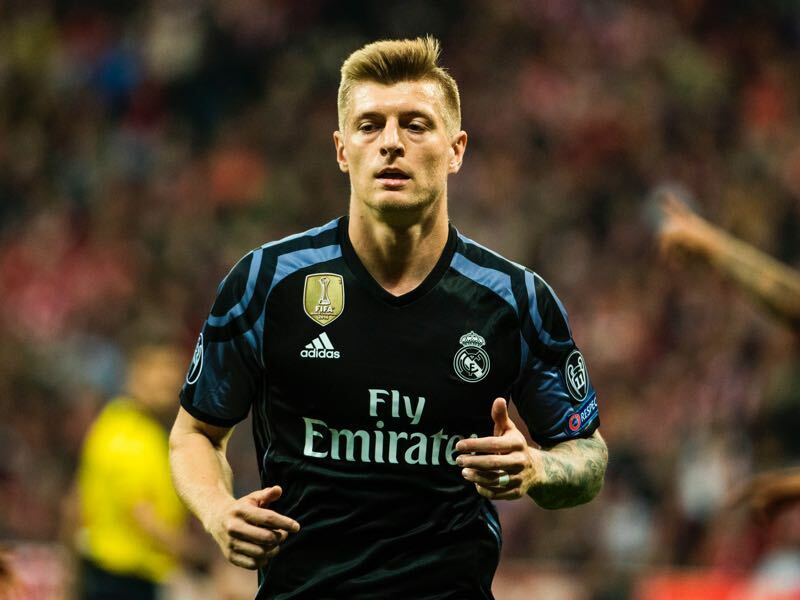 Situated in Madrid’s three-man midfield, Kroos is the transition player, the engine, who ensures that Real Madrid can switch quickly from defence to attack. This is Bayern’s 28th European Cup quarter-final and their sixth in succession. Bayern have reached the semi-finals in each of the last five campaigns. Overall, their last-eight record is W18 L9, with victories in their last six ties. Unbeaten in this season’s competition, Madrid have made the quarterfinals for the seventh successive year. Madrid are making their 34th appearance in the European Cup quarter-finals, losing only six of those previous ties. Madrid’s record in two-legged ties with German clubs in UEFA competition is W13 L8. Madrid have won each of their last five ties against German opposition, scoring 25 goals in the process. Bayern have only won one of their last four games. Boateng Vidal will incur a suspension with his next booking. Luka Modrić, Toni Kroos and Ramos are a booking away from a ban.